Often happens is that fans of indoor plants can not think about the impact on human health is a particular favorite flower. In such a case more common scheme of «liked – bought», but not all the flora can decorate the window sills and balconies of the apartments, as some of them are poisonous houseplants. The effects of constant contact with these plants are the most unpredictable. A homemade poisonous flowers emit toxic substances which, in contact with skin, mucous membranes and respiratory system can cause severe allergic reactions, shortness of breath, dermatitis, burns, itching and redness. Intoxication poisonous SAP of some flowers can not only lead to indigestion, but also to CNS damage or even stop the heart. The family kutrovyh. Members of this family, the most poisonous house plants, including adenium, pachypodium, dipladenia, Allamanda, Karis. Despite the fact that these instances are cultivated as ornamental plants, to work with them only in rubber gloves. The fact that some members of this family secrete a milky juice which is often poisonous. These poisonous plants are best grown exclusively in greenhouses. First, because growing them at home, children and Pets can get to them, and secondly, members of this family come from the tropics and like warm and damp. The family Araceae. 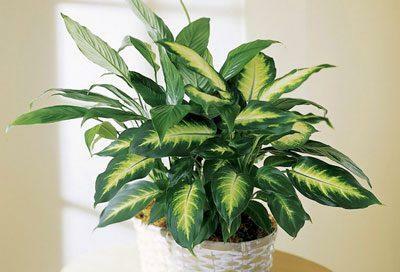 It includes such items as the Spathiphyllum, aglaonema, alocasia, dieffenbachia, etc. they are All toxic due to the formation in them of oxalic acid, enzymes and proteins. As far as contact with them is dangerous, it is clear from the fact that the caustic of the above components various components of detergents and cleaning products. Due to the presence of such components, Araceae juice can erode the skin, so no gloves to take on a damaged plant is not necessary. The family Euphorbiaceae. In the milky juice of the representatives of this family present a toxic substance autorin. When contact with skin this substance causes burns and inflammation, so when the care of such plants as spurge, akalifa and Croton should be sure to protect your hands. The nightshade family. Everyone is familiar with such vegetable fruits like potatoes and tomatoes – they also belong to the Solanaceae. Besides them, often home grown peppers, brovalliyu and brunfelsia. The fruits of these poisonous plants can affect the human condition through the gastrointestinal tract. If you eat a few berries first appear nausea, after vomiting and diarrhoea and, as a consequence, lethargic and apathetic state. Therefore, having these plants in your house, you need to ensure that a pet or child has eaten a poisonous fruit. Many ornamental flowers, regardless of whether they are in the four above-mentioned family or not, in varying degrees, toxic. However, there are the most poisonous houseplants that you should meet. The following is a list of poisonous houseplants that are extremely toxic. It belongs to the family Araceae. This plant is poisonous and all of its parts. Especially dangerous is the stem, which is cut off when leaving. The juice of this poisonous plants are cyanogenic glycosides, and saponins rafidi. This instance is recorded in handbooks as a very poisonous plant. In contact with the skin, these poisonous flowers cause reddening and allergic itching. Ingestion of dieffenbachia juice, the victim feels dizziness and erratic heartbeat, which may be accompanied by diarrhea, nausea and vomiting. To trim or cuttings when transplanting this plant it is necessary to allocate a separate tool which should be thoroughly cleaned after use. To use table knives or kitchen scissors is not recommended, because even small remnants of poison on them may cause poisoning. When working with diffenbachia need to wear a special cloth or durable latex gloves, then still need to wash your hands with soap and water. As dieffenbachia, this poisonous flower belongs to the family Araceae. It is toxic because of the presence of dangerous alkaloid of Arona. If contact with skin, juice of this poisonous plant observed the burning and redness. 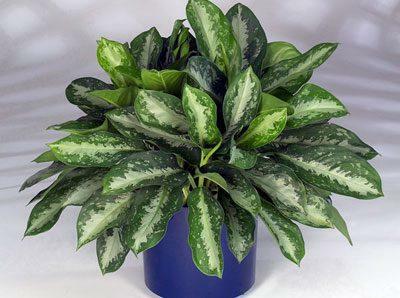 If you bite a piece of leaf aglaonema first came the nausea, and then vomiting and diarrhea. As in the case of poisoning with dieffenbachia juice, you may experience irregular heartbeat and convulsions. The same happens in the administration of Caladium. Fortunately, this undemanding plant does not require frequent replanting and special care. However, when in contact with it will also need gloves and tools. It belongs to the family Euphorbiaceae. The second name of this poisonous plants – Euphorbia beautiful. It is a poisonous houseplant applauded by many due to similarity of appearance to the palm. The poisonous milkweed seeds and milky juice. 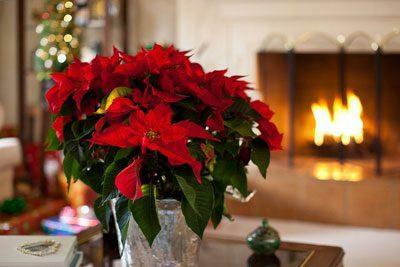 There are known cases of poisoning poinsettia among children. The main symptoms is nausea, upset stomach and chills. For some time, there is lethargy and drowsiness, as the plant has an effect on the nervous system. Protect your hands and work with the plant with gloves is necessary. How not to mention indoor plant? It is not just toxic, and even deadly. It is a columnar cactus with protruding in all directions spines. It blooms, throwing the white blossoms, which have a fairly pleasant smell. Trichocereus poisonous – known hallucinogen. As initially this plant is wild, it highlights the poison with the purpose to defend themselves against attacks of animals. A substance called alkaloid mescaline, which he produces, has an effect on the Central nervous system, until the development of paralysis. In addition, these poisonous cacti can cause visual hallucinations. 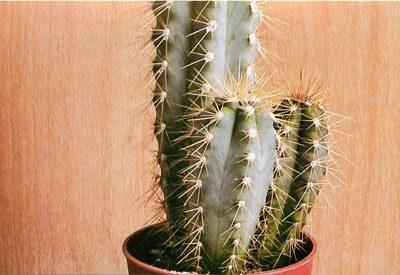 Upon contact of the skin with a cactus, possible numbness of the affected areas and a lack of sensitivity. When trichocereus throws kids, simply cut them with a disposable blade and transplanted. Protection for the hands must be present, as all parts of this toxic houseplants are poisonous. This poisonous flower emits very beautiful flowers. It is quite capricious and requires careful maintenance. 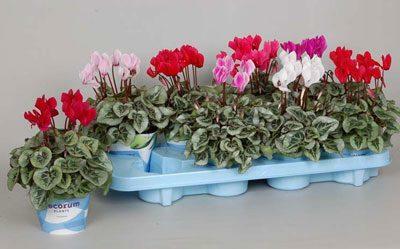 For a long time, the cyclamen is used as a homeopathic remedy for women’s diseases, sinusitis and rheumatoid arthritis. However, the juice of the tubers are poisonous plants in contact with the sensitive skin can cause inflammation, itching and redness, so put on hand gloves when caring for them does not hurt. Ivy – is an ornamental plant that beautifully wraps around the furniture, so it is often used for interior decoration. 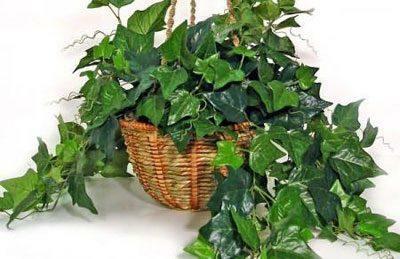 As many species of flora, this plant purifies the air and repels mold, however, and the leaves and stems of ivy are toxic. If a small pet such as a chinchilla or a rat, will eat ivy, the deadly outcome is possible. Sometimes it the plant blossoms, but the blossoms do not have a pleasant smell, so it’s best without regret, trim the buds, as the fruit of the ivy is even more malicious. This is a very dangerous plant poisoning may result in such symptoms as delusions and even cardiac arrest. It is a popular plant that adorns the sill, almost every grower. Its juice can heal and clean wounds and folk medicine says that this plant has many other useful properties. 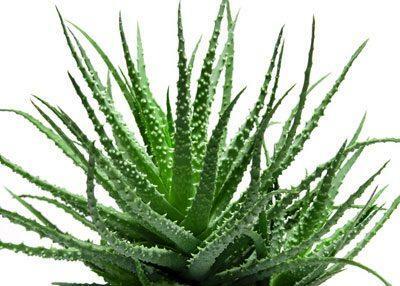 Daily consumption of a tablespoon of aloe juice with honey on an empty stomach cleanses the gastro-intestinal tract. However, if a rodent will eat this poisonous plant, death can not be avoided, and the larger the animal expects an upset stomach. As for the people, the overdose juice of this plant may cause severe intoxication. Women in the position of use of aloe is contraindicated, as the pregnancy may be interrupted. 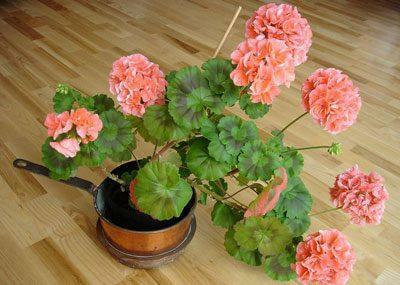 Beautiful and undemanding plant called geranium can also cause some problems. Along with the fact that geranium is a good antiseptic, animals, especially cats, no wonder not even looking in his direction, as his poison dangerous to life. This home-flower does not have to decorate the home of allergies, as the smell of bluff its inflorescence can cause severe allergic reactions and trigger asthma. On the other hand, the extract of geranium are used in diseases of ENT-organs and it is used by athletes as it increases stamina and gives strength. In addition to the above instances, the popular pink Catharanthus. Its peculiarity is that its flowers are white and pink. This plant is used for treatment of cancer, however it contains highly toxic alkaloids. Gloriosa, which has attracted gardeners in recent times, also contains harmful alkaloids. Until recently, the popular oleander. Cardiac glycosides, which are found in stems, very dangerous to humans. Poisoning clivia, aucuba Japanese or tuberous begonia leads to disturbances in the gastrointestinal tract. Aukuba in General can cause bleeding, if the poison gets into the body in large quantity. 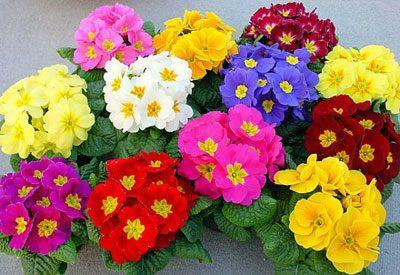 Primrose, like Croton, adversely affect the skin – their effects causes dermatitis. All your favorite rubber plants contain furocoumarins, which, in contact with skin cause a burn. Almost every house you can find a geranium or aloe is no longer a rarity. When a small child or pet, it is better to remove the flower up and away from the bed. Before you purchase representative of one of the toxic families it is useful to get acquainted with what are poisonous plants and their effect on human health. Finally I want to summarize that the most lush and beautiful flowering plants that are successfully cultivated by man, is poisonous. If you need to acquire poisonous indoor plant for treatment or for other purposes, you should consider all risks and to protect Pets from contact with him. Doing some simple precautions when transplanting and care of poisonous instance, careful gardeners can nothing to worry about.